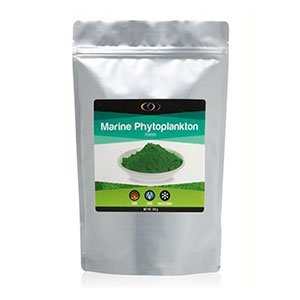 Marine phytoplankton is a microalgae supplement derived from certain oceanic phytoplankton species proven to be a valuable food source for humans as well as aquatic sea life. As a highly nutritious micronutrient-rich substance, it is an excellent way to provide an immediate influx of omega-3 fatty acids, vitamins, minerals, amino acids, superoxide dismutase and many carotenoid antioxidants in an easily absorbed and assimilated liquid. Certain species of phytoplankton, especially in the genus Nannochloropsis were first identified in the early 1980's and since then have been extensively researched in Europe for their industrial applications beneficial for aquaculture, biofuel, cosmetics as well as for nutritional supplementation purposes. 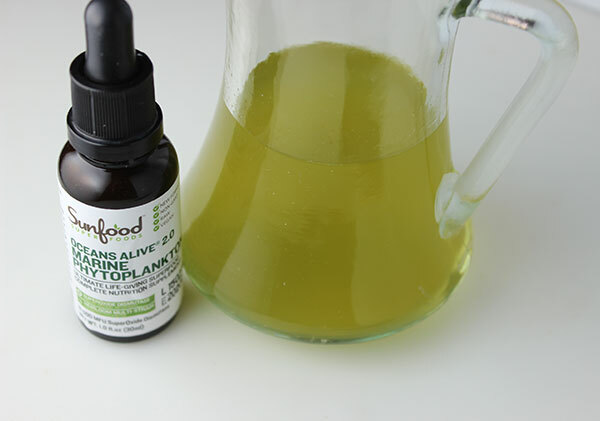 Because of phytoplankton's particular ability to rapidly reproduce and accumulate high levels of PUFA's and most all nutrients required for human health, it has been viewed as the "future of medicine" by many health experts, offering a preventative approach to sickness and disease. 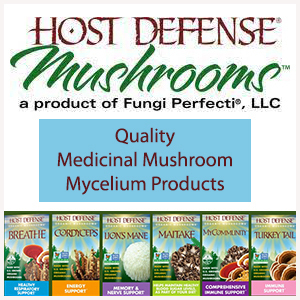 As unsustainable commercial farming practices and soil degradation are depleting much of the world's foods of vital phytonutrients, it is necessary to make up for potential dietary deficiencies the best we can with super dense vitamin-mineral abundant supplements. 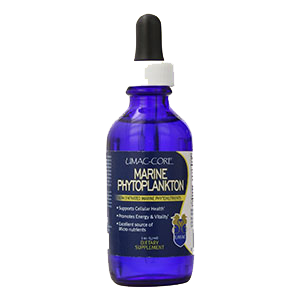 Quality marine phytoplankton helps to simultaneously supply virtually all needed vitamins, minerals, phospholipids and other desirable cofactors in one condensed serving. It additionally offers a broad spectrum of nanonutrients that are especially valuable for the brain and nervous system, used to treat conditions like insomnia, depression and cognitive decline. Containing high amounts of the essential fatty acids EPA and DHA, phytoplankton is the food that krill, cod and other fish graze on to create DHA-rich oils. The microalgae is also comprised of a range of pigments like astaxanthin, zeaxanthin and canthaxanthin, extremely beneficial antioxidants and excellent nutriments for healthy eyes. 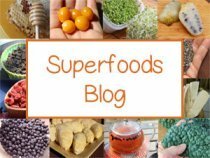 It can be a useful top superfood for those with a compromised immune system, specifically rehabilitating to extremely weak or sick individuals. Oceanic phytoplankton is not only made up of energizing nutrients but also nucleotides, like ATP, which play a central role in metabolism and directly increase cellular energy levels. Most plankton products do not come straight from the ocean, but are grown in bioreactor facilities where they are efficiently produced in a controlled ocean-like environment for maximum purity. Highest quality strains are initially extracted from wild marine waters and further cultivated under conditions that most precisely replicate natural oceanic settings. This ensures a product free of atmospheric pollutants or other contaminants. Currently, there are only a handful of corporations who manufacture marine phytoplankton for human consumption, most all are based in Europe. One of the first available products, here in the U.S., came from the company Elements for Life back in the mid-2,000's. Since then, most quality commercial marine phytoplankton's today (in 2015) come from a source called "Ocean's Alive." Ocean's Alive, which is produced in Spain, is distributed by different brands under this name. Originally consumed by adding condensed liquid drops to water, it is now also offered as a freeze-dried bulk or encapsulated powder. The plankton is suspended in pure, concentrated sea mineral solution and definitely tastes like the ocean as well as a bit like a blend of shrimp and kelp seaweed. It may or may not be appealing to some palates, but is easily camouflaged into blended drinks. Phytoplankton are the microscopic organisms or microalgae found in most all oceanic and fresh water bodies on the planet. They make up one fourth of all vegetative plant life and produce close to 90% of the earth's oxygen supply. Floating in large blooms close to the oceans surface layer, many are a chlorophyll celled algae requiring sunlight for the process of photosynthesis. The word phytoplankton comes from the word "plant" and the words "to float or suspend." In existence for about three billion years, phytoplankton are the foundation of the oceanic food chain. Producing an MSM identical byproduct, they play a significant role in the atmospheric "sulfur cycle" that continues to feed the soil and sustain all other plant life. In addition, phytoplankton is consumed by hundreds of different species of krill, which, in turn, feed many other aquatic fish populations. They are a primary food source for one of the world's largest and longest living mammals and ocean dwelling creatures, the great blue whale. 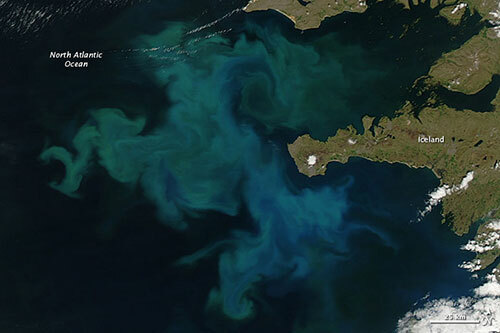 "Marine" phytoplankton is generally the term used to describe the class of edible single-celled phytoplankton appropriate for human consumption. Over the last several decades European scientists and microbiologists have narrowed down certain species of phytoplankton in the genus Nannochloropsis, and others in the class Eustigmatophyceae and Bacillariophyceae, that are most ideal for human dietary uptake. 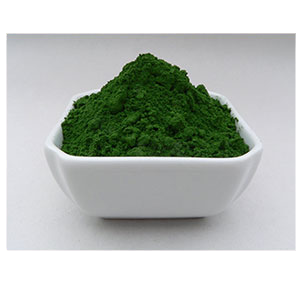 The main one used to create most marine phytoplankton liquid or freeze-dried powder is the Nannochloropsis gaditana species because of its high nutritional profile and ability to accumulate nutrients, especially omega fatty acids. This is the major one used by Oceans Alive, but there are also other unique species used for supplemental purposes including those in the genus Skeletonema, Chaetoceros and Thalasslosira. 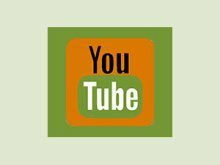 How is Marine Phytoplankton Processed? 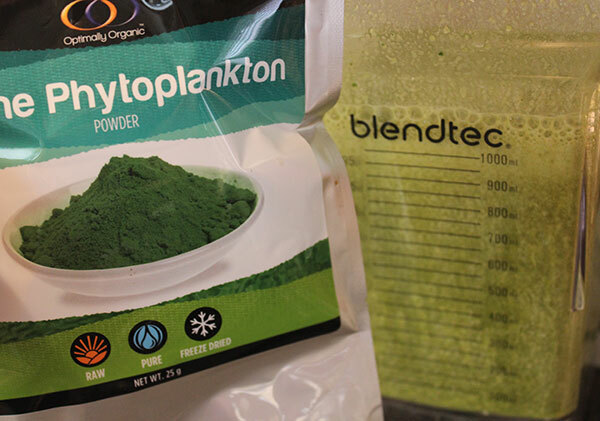 The phytoplankton used to create liquid or powdered supplements does not come straight from the ocean, but is grown from wild cultures in a closed-system bioreactor facility. This is to simulate marine conditions and create a highly concentrated and pure green material, free of atmospheric toxins and contaminants. A photobioreactor is a process that uses a light ("photo") source to grow photosynthesizing microorganisms, in this case phytoplankton. Specific conditions are set up to mimic the most ideal "spring bloom" conditions for the proliferation of the microalgae, optimizing the quality of light, seawater solution and food source needed for optimum growth. Many phytoplankton supplements are made in horizontal tubular glass bioreactors in purified seawater solution with computerized controls, which are known to produce the most efficient biomass concentrations. Upon maturity, it goes through a centrifuge process that spins out the water and creates a thick concentrated paste material. This paste is then usually placed in an ionic trace mineral solution which preserves its nutritional value and life-force. Most all bioreactors for cultivating marine algae are located in Europe, primarily Germany and Spain. 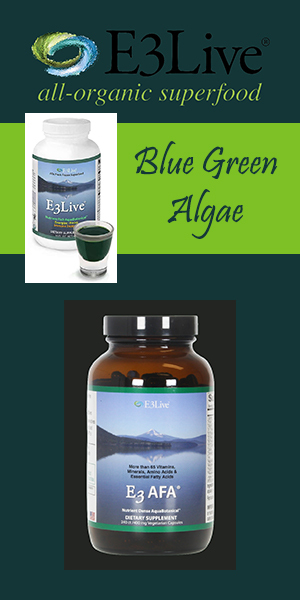 Marine microalgae is one of the best vegan sources of EPA and DHA available. Being first on the food chain, all fish and many other aquatic creatures, like krill, get their EPA and DHA essential fatty acids from either the phytoplankton they consume as a food source or from other fish who graze on it. EPA and DHA are both essential omega-3 fatty acids or long chain polyunsaturated fatty acids (PUFA's) derived from ALA or alpha-linolenic fatty acids. They are "essential" because the body does not manufacture them and we need to get them from the foods we eat. Our brains are mostly composed of fat (about 60%) and 97% of the fatty acid components that make up our brain are DHA. DHA provides nutrients needed for proper neurological functioning and needs to be replenished on a regular basis through dietary sources. Cognitive illnesses such as Alzheimer's, depression, memory loss and Parkinson's have been associated with low levels of DHA in the brain tissue. EPA or eicosapentaenoic acid is a very important nutrient for controlling and reducing inflammation in the body because it is an important precursor to eicosanoids, molecules that regulate the inflammatory response. Both DHA and EPA are natural anti-inflammatory omega-3 acids and key nutrients needed to balance omega-6 fatty acids and their pro-inflammatory effects that can lead to chronic inflammation in the body over time. Because most people living in today's world tend to be deficient in omega-3's, it is a good idea to supplement the diet with concentrated sources like marine phytoplankton, algae oils or purified fish-based oils if needed. In the 2013 study published in the journal entitled "Marine Drugs", phytoplankton was analyzed for polyunsaturated fatty acid content and potential as an EPA and DHA supplement alternative to fish oils. It was demonstrated that "Microalgae offer a promising non-polluted resource for biotechnology and bioengineering of long chain polyunsaturated fatty acid production, as an alternative to fish oils. Compared to terrestrial crop plants, microalgae present a few advantages as omega-3 PUFA sources, such as commonly occurring genes for the biosynthesis of these nutrients, simpler fatty acid profiles and higher growth rates." 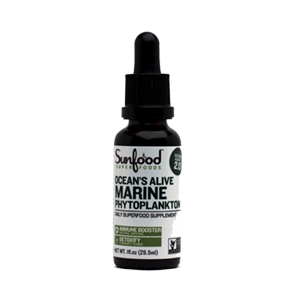 Marine phytoplankton not only contains omega-3's, but phospholipids which work with these essential fatty acids to nourish the brain and support proper neurotransmitter production. 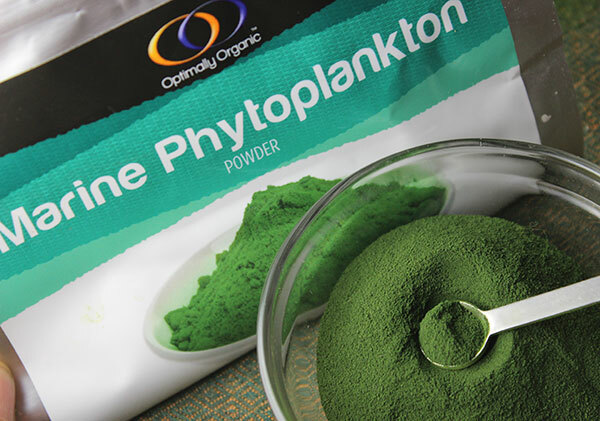 Marine phytoplankton is very high in antioxidant compounds, including chlorophyll, the two classes of carotenoids: xanthophylls and carotenes, as well as superoxide dismutase. The yellow pigmented xanthophylls carotenoid group includes zeaxanthin, violaxanthin, astaxanthin, canthaxanthin and others. 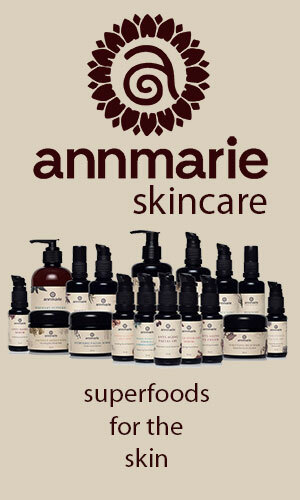 Many of these are useful nutrients for nourishing the eyes and skin. 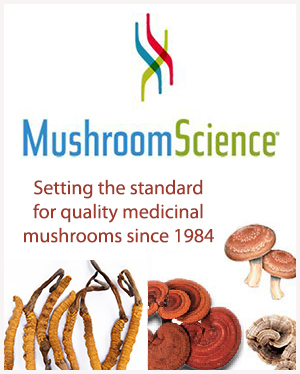 Zeaxanthin is one of the primary xanthophyll carotenoids contained within the central macula and retina of the eye. The omega fats in phytoplankton supplements, in combination with these antioxidants also contributed significantly to maintaining healthy eyesight and may help reduce the risk of age-related macular degeneration according to a 2014 study. Beta-carotene, a red-orange pigment, is the primarily carotene constituent. Carotenes contribute to photosynthesis and the production of chlorophyll. Chlorophyll and carotenoid antioxidants, when consumed, protect us in much the same way they protect plant cells, shielding against atmospheric radiation, too much ultraviolet light and various pollutants in the environment. SOD is another primary antioxidant found in the marine microalgae that helps to guard against free radical damage and works also as an anti-inflammatory agent. Some brands, like Sunfood, also contain a proprietary strain of Oceans Alive marine phytoplankton known to contain a greater amount of superoxide dismutase. 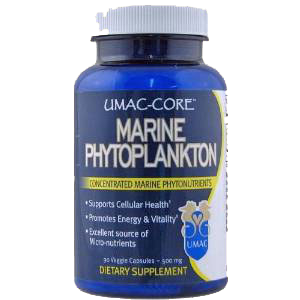 Marine phytoplankton when consumed often has an energy enhancing effect for many people. This is not because it contains artificial stimulants, like caffeine, but because it is packed with energizing nano-size phytonutrients that are immediately absorbed by the body. Also a raw living chlorophyll-rich substance, the algae is concentrated with all essential and non-essential minerals and trace minerals, plus B vitamins, vitamin C, vitamin A and vitamin D. It additionally contains high amounts of protein with all required amino acids present. When the body is provided with all necessary nutritional elements, we tend to be less anxious and able to deal with daily stress factors in a more calm and relaxed manner. Marine phyto makes a great alkaline and mineralizing superfood when fasting or partaking in a detox regime as it helps with the cleansing process, yet also supplies ample nutrition and prevents demineralization. The chlorophyll molecule present in the algae also helps to increase oxygen uptake and fuels the muscles for workouts or exercise routines. Moreover, marine microalgae is abundant in compounds referred to as nucleotides, cellular energy units that act as "biological batteries" that recharge the cells. Because its small size particles are readily assimilated upon intake, rather than having to go through the process of digestion, these nucleotides go directly into the cells for a quick energy uplift. Nucleotides such as ATP and GTP are the building blocks of nucleic acids, like DNA and RNA, and if enough are provided they can actually repair DNA damage. 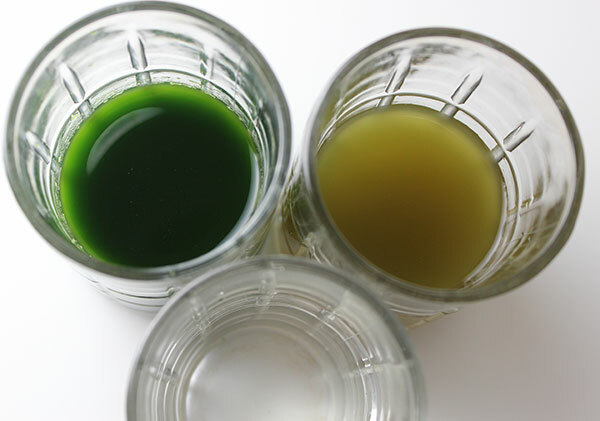 Depending on your unique health goals there are, of course, other microalgaes available like spirulina, blue-green algae (AFA) and chlorella. Each comes with their own particular set of health benefits. Marine phyto, however, is considered the most nutrient-dense out of all the microalgae varieties. When selecting the best supplement for your personal use, we recommend purchasing the most pure concentrated liquids or freeze-dried powders, without fillers or other added ingredients. These usually have a green pigmentation and when diluted in water, turns it an olive to bright green color. Some companies, however, like Unique Sea Farms, who make Ulmac-Core marine phytoplankton, do not use the Nannochloropsis gaditana species which is higher in chlorophyll content, but utilize many other wild strains without the chlorophyll component. According to our direct communications with Ulmac, this is why, in addition to their nutrient extraction process, the end result produces a clear, rather than green, solution. 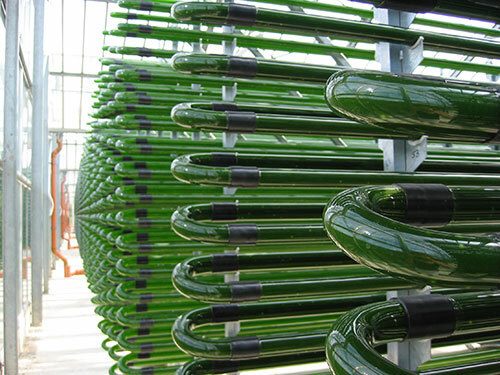 Ulmac is also one of the only brands that does not use a photo-bioreactor facility to process their algae products. Their species are grown outdoors in fresh ocean water tanks. 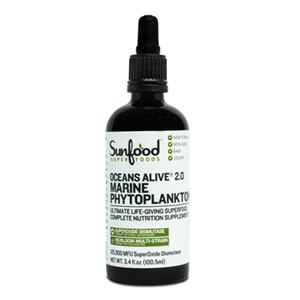 Sunfood Superfoods Ocean Alive Propriety Blend - Includes the 2.0 version of Oceans Alive concentrate plus a propriety blend using a strain that contains greater amounts of SOD. 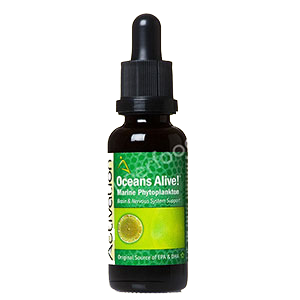 Oceans Alive Marine Phytoplankton - The 2.0 version of the Oceans Alive microalgae in liquid form. Optimally Organic - A freeze-dried powder derived from the Nannochloropsis gaditana. 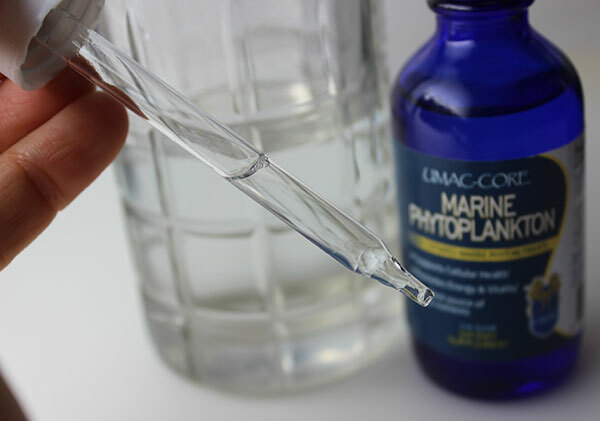 Ulmac-Core - Offered as a liquid or encapsulated powder, not derived from Nannochloropsis gaditana but from 100-200 wild microalgae found growing in the pristine coastal waters off the West Coast of Canada. 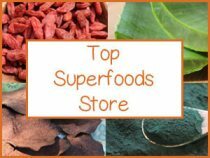 Longevity Herbs and Superfoods - This is a good quality freeze-dried powder; and is a little less expensive than other brands. 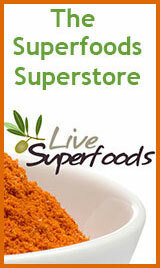 David Wolfe Foods - A very potent freeze-dried powder, one of the highest in quality as well as price tag. Uses Nannochloropsis gaditana. 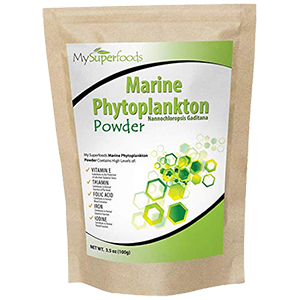 Marine Phytoplankton 5000 - Created by the European company Fitoplancton Marino makes freeze-dried powder, sold in capsules or in bulk. We always recommend purchasing non-GMO certified algae products as oceanic phytoplankton is currently being genetically modified by some companies to produce a higher yield and omega-3 ratio. Our present research indicates the brands we just mentioned are non-GMO algae supplements. Does Marine Phytoplankton Need to Be Open Cell Processed? 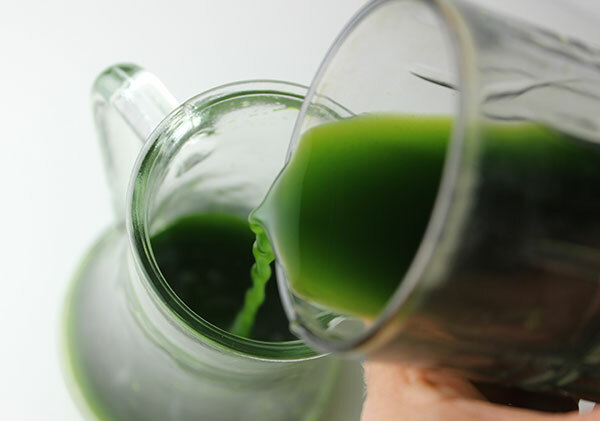 There are some marine phytoplankton manufacturers who claim that the algae needs to be open cell processed in order for it to be completely absorbed by the body. However, according to our investigations and many emails with various manufacturers, certain plankton species like Nannochloropsis gaditana, because of its extremely small "nano" (meaning one-billionth) sized particles, is fully bioavailable upon intake. 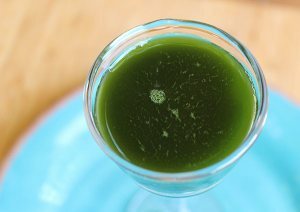 Some company's also assert that it is a soft-celled algae, not a hard-celled one, like chlorella. There is also the argument that when taking products like Oceans Alive (not open cell processed) you would not experience any health enhancing effects if it wasn't absorbable. We definitely feel energized and nourished when consuming these liquid solutions, so the proof is also in how it makes you feel. If this issue is of concern to you it is a good idea to do your own research and come to your own conclusions. According to health educator David Wolfe, "Phytoplankton is 100% bioavailable to the human body, when you eat it, not a single part of it is wasted." Because of the special processing needed to create the purest and most concentrated liquid achievable, it is often quite costly at about $35 per 1oz dropper bottle, a months worth supply, and $50 for a 50g bag of freeze-dried powder. The freeze-dried powders are notably more concentrated than the liquid which is slightly diluted, depending on the brand. The powders, from our personal experience, seem to be more cost effective for those on a budget. Although some people don't mind straight liquid or powder mixed in water, juice or coconut water, it can have a strong fishy and salty flavor that definitely tastes like the ocean. It is, however, easily camouflaged within smoothies or protein shakes. 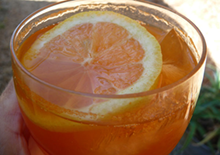 A drop or to two can be added to unheated raw recipes that require a seafood-like flavor. It should never be heated or added to hot foods or drinks. 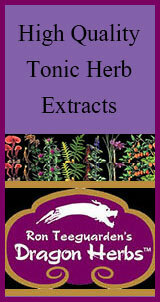 Powders and solutions can also be given to pets as well as house or garden plants as a nutritive supplement. Because phytoplankton is a very concentrated substance, it is typically taken in smaller quantities. It is beneficial to consume it first thing in the morning on an empty stomach for immediate uptake of nutrients, but it can alternatively be taken between meals for a mid-day energy boost. Marine phytoplankton contains Vit. K, which may interfere with blood thinning medications. 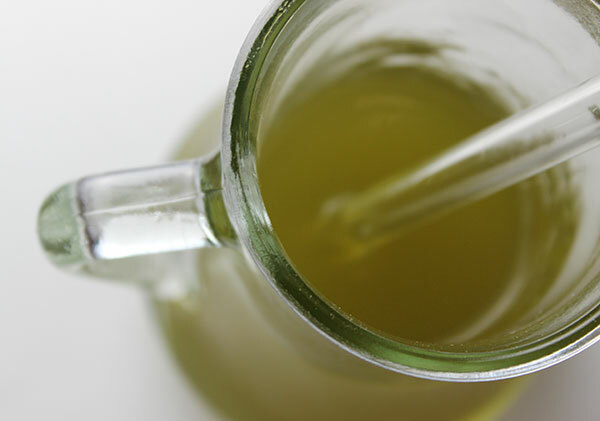 The microalgae is considered a safe and beneficial food for children and lactating mothers. There are minor contraindications for those with allergies to shellfish.